Over the last fifteen years many factors have contributed to cause aerospace suppliers in Mexico proliferate. According to an USITC (United States International Trade Commission) Executive Briefing published in 2013, between 2006 and 2011, the number of aerospace companies located in Mexico (OEM subsidiaries and suppliers) rose from one hundred and nine manufacturers to two hundred and forty-nine. This represents an increase of more than one hundred percent. Today, in 2015, industry watchers number the aerospace firms in Mexico at approximately three hundred. Today the aerospace manufacturers in Mexico are headquartered mainly in the United States, but, additonally, there is a significant European aerospace presence in Mexico, as well. Globally competitive pricing – Mexico is recognized as the preferred North American location for companies that are seeking to cost-effectively sell into the United States, and, to a lesser degree, the Canadian market. In 2013, suppliers in Mexico were able to access labor resources that were thirty-two percent less costly than those operating in the United States. Today, with the Mexican Peso to US dollar exchange rate hovering around fifteen to one, aerospace suppliers in Mexico are enjoying an even more beneficial cost structure vis a vis their US counterparts. When looked at in 2013, with all costs factored in, the USITC reported that, in terms of overall pricing, aerospace suppliers in Mexico held an almost sixteen percent advantage over the United States. The aforementioned current Mexican Peso – US dollar exchange rate has further favored companies with operations to the south of the US border. A well-positioned global export platform – Since 1994, Mexican negotiators have been hard at work negotiating free trade agreements with a plenitude of nations. Today, goods that are “Made in Mexico” receive NAFTA-like, duty free treatment in forty-four different countries. For instance, in addition to shipping parts on a duty free basis throughout North America, Mexican aerospace suppliers can send product without tariffs and duties being assessed to the EU in its entirety. Recently, Mexican negotiators have finalized additional free trade agreements with South Korea and Jordan, as well as are putting the final touches on a free trade accord with Turkey. A BASA (Bi-lateral Safety Aviation Agreement) – Prior to 2011, Mexican aerospace suppliers were at a disadvantage related to receiving safety certification for their parts with the Federal Aviation Administration. 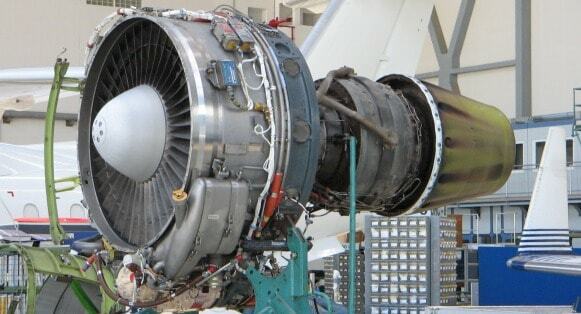 Parts made that were “Made in Mexico” were required to be sent to the United States to be safety inspected and approved by the FAA prior to being shipped off to customers. This changed in 2011, when, after several years of negotiations, the US and Mexico signed a Bi-lateral Aviation Safety Agreement or BASA in September of 2007. The signing of the agreement set the stage for the empowerment of Mexican aviation authorities to certify designs and components in Mexico, thereby eradicating the need to send them to the US for inspection. This, of course, eliminated related costs, and set the stage for the more expeditious shipment of parts made by Mexican aerospace suppliers to their end users. As the competition among these states to motivate high value-add aerospace manufacturers to settle within their borders is robust, incentives for significant projects can sometimes be negotiated. For instance, the State of Queretaro contributed to the growth of its sizable aerospace industry cluster through the construction of a fifty million dollar aeronautical testing laboratory. Industry suppliers seeking to locate facilities in Mexico should be sure to make contact with economic development officials in the state or states on which their attention and interest is focused. An increasingly sophisticated workforce – Mexico has well-developed vocational training infrastructure, and universities that graduate more engineering students than do developed countries such as Germany, and those that are emerging like Brazil. Mexico has put an emphasis in reforming its educational infrastructure and institutions in order to provide companies with the human resources required to move its aerospace manufacturing industrial base from being capable to manufacture at a world-class level, but also to conduct research and design activities at a level commensurate with the demands of the global marketplace. Aerospace suppliers in Mexico are thriving at present as a result of the aforementioned factors being in place. Those that are sure to migrate to Mexico in the coming years can expect to find the presence of the same positive conditions and more.